Children's TV is sometimes mind-numbing isn't it! I used to find Thomas & friends the worst and I'll be happy if I never have to hear his voice again! haha! There are a couple of kids TV shows that are actually ok for grown ups though and Ben & Holly is one such show. Steve and I never minded when the kids would watch this and I swear my step dad secretly still watches it by himself and has a right old laugh! We loved Ben & Holly so much that back in 2013 Jack and I went along to watch a performance at Whitley Bay Playhouse and thoroughly enjoyed ourselves. I can't believe how small he was back then! 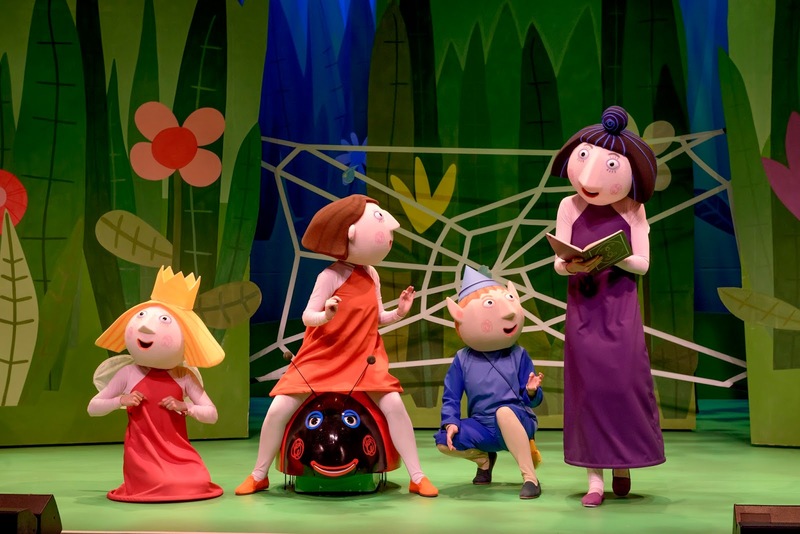 Harry, Heidi and Jack are too old for Ben & Holly now (sob) but I am delighted to have been provided with a family ticket to give away to see the tour when it visits Newcastle's Tyne Theatre & Opera House this March. The ticket also includes a special meet & greet with Ben & Holly after the show. You can enter the giveaway at the bottom of this post. Good luck! The blurb:- During the show, Ben and Holly have fun and games helping Gaston the Ladybird (who is the cutest thing you'll ever see) clean up his messy cave, they go on a trip into 'The Big World with tooth-fairy Nanny Plum, even plan a surprise birthday party for King Thistle, and oops, let’s hope there’s not another jelly flood! (spoiler - there probably is). I remember the show being loads of fun for pre-schoolers and would definitely recommend to any Ben & Holly fans out there aged 0-5 years (and their grown ups). It's a fantastic first introduction to theatre. Don't forget to visit Meet & Treat across the road for a game of Guess Who and milkshakes before/after the show! Tickets are priced between £11 & £17.60 (including booking fees) via Tyne Theatre & Opere House website or from the box office in person during box office opening hours. I have been provided with a family ticket worth £60+ to giveaway to one lucky reader. The ticket is for up to 2 adults and 2 children to enjoy the 4pm performance on Saturday 18th March 2017 at Newcastle's Tyne Theatre & Opera House. The Meet & Greet is after the show. To be in with a chance of winning, simply enter via the Rafflecopter giveaway below. Good luck! 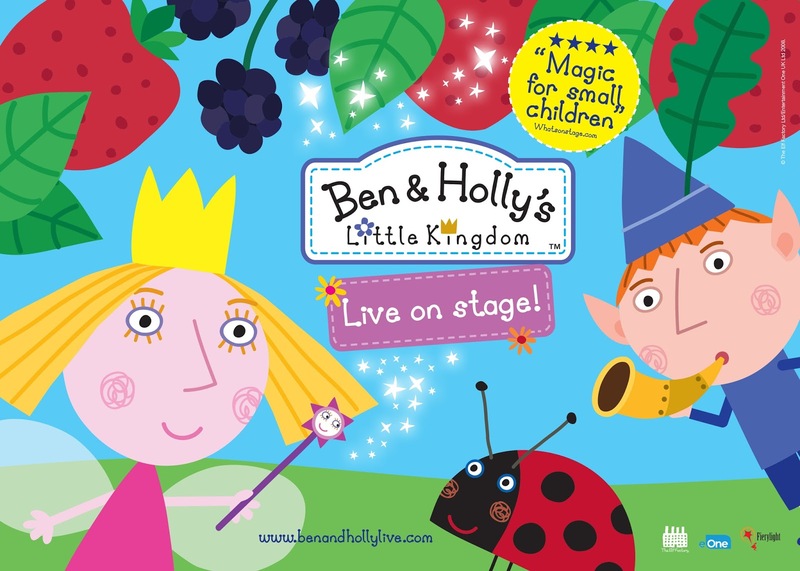 Terms and Conditions: Prize is 1 x Family Ticket (valid for up to 2 adults and 2 children) to see Ben & Holly's Little Kingdom at Tyne Theatre and Opera House in Newcastle on Saturday 18th March at 4pm with a 'meet and greet' after the performance. Tickets are non-transferable to another date/venue/performance/time and there is no alternative. No refunds will be given. There is no cash alternative. Travel and extras are not included. Giveaway ends midnight 5/3/17. A winner will be selected at random from all valid entries and notified via email. "He's Gaston the Ladybird, bob, bob" or so the song that's been stuck in my head for the last two years goes - My two would love this so much, as would my husband that claims Ben and Holly is his favourite kids show, ha! My kids would love this! I'm entering. I'm forced to endure Thomas all the time and agree this is much better. Our little one would absolutely love this. She adores Ben and Holly and Gaston the little ladybird. The ladbird is the super cute Gaston (pet of Ben Elf). Wow what a fab prize. Our little one loves Ben and Holly and would be so excited by this. Gaston.....I hope we win, my 4.5yo and 3yo Daniel and Lilly's granny lives in Newcastle and she's always wanted to take them to something like this - this would be amazing for them. They went to see Mister Maker when they were little and absolutely loved it! Gaston!!! I love this show!! The ladybird is called Gaston. Thanks for the competition.